Best place to live in Williamsburgsubmitted by Josh D. - Jul 01, 2018 |Recommended: YesIt's like you're on vacation year round. Top of the line as far as apartments go.submitted by Edmond C. - Jun 27, 2018 |Recommended: YesA very nice place to live. Perfect apartment bad locationsubmitted by Awad A. - Jun 07, 2018 |Recommended: NoIf you like to live in quite you should come here. Grounds upkeepsubmitted by Glenn D. - Jun 03, 2018 |Recommended: YesNow that summer and hot weather are here my only issue is with the doggie poop stations, esp the one behind bldg 3950. The station really needs to be picked up every other day. It gets full and really stinks. Also possibly get sanitized weekly or biweekly. According to maintenance, only pick up on Mon and Fri. Definitely not enough times. Other than this everything else is great . Nice place to live so farsubmitted by Maria S. - Apr 30, 2018 |Recommended: YesNice and quiet. No problem with neighbors and everyone is very friendly. Just need to work on keeping elevators a little cleaner due to the high use with pets. But overall, very happy with our choice. I enjoy living here.submitted by Sandra R. - Apr 29, 2018 |Recommended: YesIt's a great location - close to many things in Williamsburg. It's peaceful, safe and quiet. and very dog friendly. Goodsubmitted by May K. - Apr 28, 2018 |Recommended: YesGood to stay. 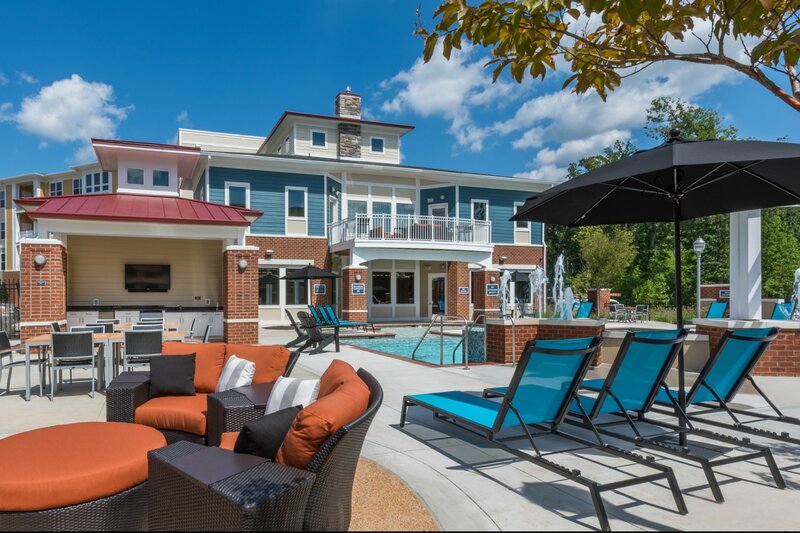 Awesome communitysubmitted by Geoffrey S. - Apr 16, 2018 |Recommended: YesQuiet and secluded, modern and clean, resort quality amenities, plenty of parking, conveniently located to major highways and attractions in Williamsburg, affordable, pet friendly, friendly and responsive staff. This place really has it all. Awesomesubmitted by Brian D. - Mar 21, 2018 |Recommended: YesBest place to rent from in the area.. affordable, great staff, and peaceful.